Working on this book was a ton of fun. DC Comics let me have Shanghai in the DC Universe as my own sandbox to play in. 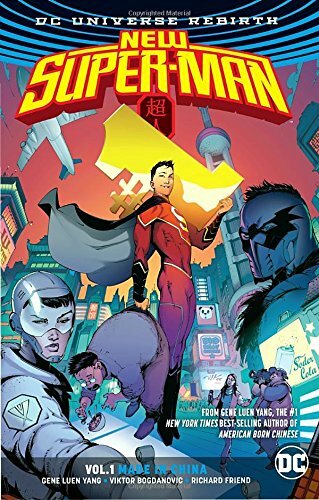 I got to partner with Viktor Bogdanovic to create seventeen year old Kenan Kong, who inherits Clark Kent’s powers to become the Super-Man of China. This trade paperback collects the first story arc of the ongoing monthly series.